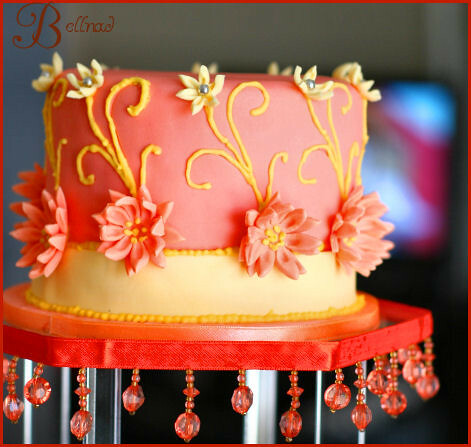 Double Happiness cupcakes with bamboo topper cake, originally uploaded by Glass Slipper Gourmet. We were going for a simple, zen-like look with these cupcakes and the display. 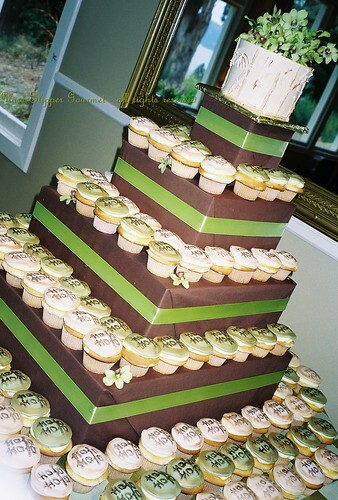 The symbol on the cupcakes stands for “double happiness” – a fitting wedding theme! The topper cake was meant for the bride and groom to cut and was done in a natural bamboo look and finished with simple orchids.